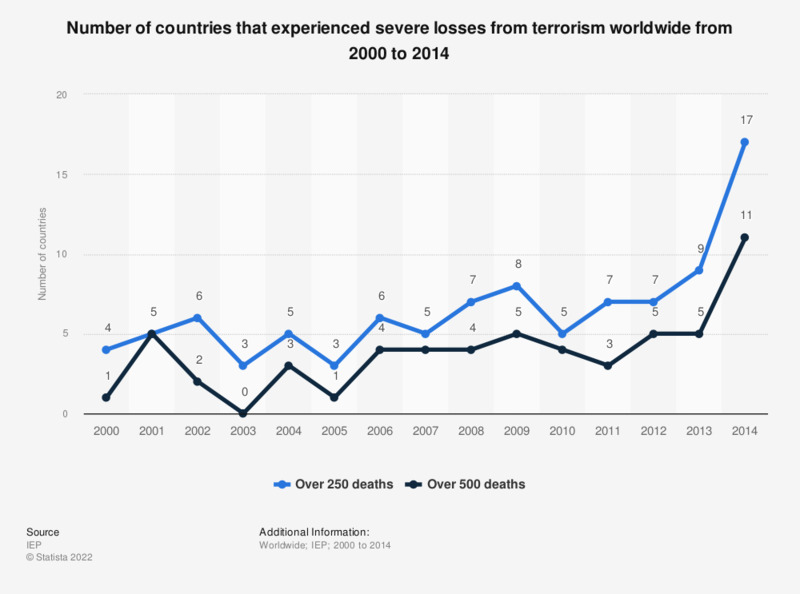 The statistic shows the number of countries that experienced severe losses from terrorism worldwide between 2000 and 2014. In 2009, 5 countries reported severe losses from terrorism exceeding 500 fatal casualties. Terrorism is the systematic use of terror, especially as a means of coercion. In the international community, however, terrorism has no universally agreed, legally binding, criminal law definition. Common definitions of terrorism refer only to those violent acts which are intended to create fear (terror), are perpetrated for a religious, political or ideological goal, and deliberately target or disregard the safety of non-combatants (civilians). How satisfied are you with the nation's security from terrorism?